I am entering a strange and difficult transition that is probably normal to those in their 50’s. Or so I suppose. I feel less motivated to attempt great things with my life, to accomplish change in the real world, and to start ambitious projects. I feel strangely tired and unmotivated. Not just like during previous doldrums, but in a more persistent and profound way. I think I understand that. It’s not just apathy or inertia, but the blunting of passions that accompany age. Today is Saturday, and all morning I’ve been trying to decide what to do. But I feel decidedly unmotivated. None of my passion projects or side hustles draw me in any kind of obsessive way. Helping others seems noble and important, but I am tired. Tired of searching for good things to do. Not much in the way of prayers of desire, nor dreams of ambitious projects have come out of my heart and mind for months. Why is that? Partly, I think I’ve been avoiding my inner world in a cascade of distraction. I’ve been constantly consuming media, but producing little. I’ve spent my 3-hour daily commute time listening to podcasts and audio books. 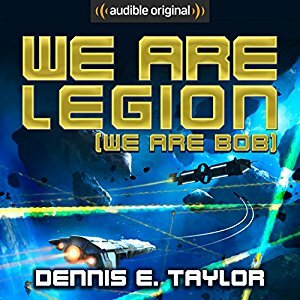 For the first time in decades I’ve listened to fiction (We Are Legion, We Are Bob) and really enjoyed it. But as I’ve looked for more, I’ve become a little disenchanted. Partly because most sci-fi is either too hard (“hard sci-fi”) or too much world building, which is more mental work than I want to do right now. Epics that create entire races, languages, and characters across generations (including Star Wars) are just too much for me to care about. I remember a sermon I heard once about the Dead Sea – the reason nothing lives in it is because it is too salty, and the reason it is too salty is that water flows in, but doesn’t flow out. So water merely evaporates and leaves behind all the residue of what flowed in with it. The spiritual analogy is that if we always consume but never create we become stale, filled with toxins, and dead. So maybe that’s me. I know, I haven’t failed yet, I can keep trying, and failing to persist is the real failure. I get that. But part of aging gracefully is realizing that you may not accomplish all of your dreams, won’t fulfill your potential in this life, and realize that accomplishment is not really the key to happiness. Rather, learning to actually love others, be in relationship with self, others, and God, and trusting God for grace and a life to come are really the keys to contentment. But I still have years left, and want to feel motivated towards meaningful work. What does that look like for me? Quite honestly, I wish I could retire to a few simple activities. I would like to spend my days quietly creating illuminated manuscripts while listening to jazz and petting the cat. I’d like to swim laps in a heated pool in my back yard and then listen to the breeze while I sip some coffee in the morning. I’d like to take daily naps. In a word? I’d like to retire. Indulge me for a few paragraphs as I unload some complaints. But let me preface it by admitting that in the final analysis, it’s nobody’s fault but mine. I got married late, at age 38. So my children are still young – my oldest is a mere 14 years old, and I have no idea how they will pay for college, or if I will be able to help. I have no savings towards that end. There’s a reason I have no savings, though. I’ve been saving for retirement and future expenses since I was 27. When I was in my 40’s I bought house in California as close to work as I could afford – which is an hour away from the edge of Silicon Valley. Back then, the prices were about the same as they are now – near 400K for a home in a suburb. Like many, we took a 3/1 ARM because it was the only way to afford a home even this far out. Then our home values plummeted, our ARMS ran out, and our mortgages jumped to 4K a month. So we all did what we could to short sell orbargain with the banks, all to no avail. In the end, we defaulted, and many of us went through Chapter 7 bankruptcy in order to get out from a lifetime of debt. At that time, I had borrowed from my retirement savings to put the down payment on the house that was sure to go up in value. Until it didn’t. So I ended up not being able to pay back those loans, and losing the potential $2M in retirement savings. Twenty years of savings gone. I’ve been saving again since then, but you can’t replace 20 years of compound interest. At my best, saving $800 a month, I’ll have about $250K at retirement – hardly anything. So I’m renting a house, trying to save for both retirement and a down payment on a house, all while raising children. And the cost of living in California, from gas, to utilities, to food means that even as a well-paid tech worker, I live paycheck to paycheck. Everyone in California knows that both parents have to work to make it here, but my wife stays home schooling the kids. We think that is better for our family, but we also pay a heavy financial price for that. So what do I want to do today? I want to read. And write. And be part of a team that is doing something. I want to feel needed in something meaningful. I think one of the main reasons for my lack of motivation is that I am not a self-starter. I don’t wake up like a morning person, ready to attack the day. Without coffee, I probably wouldn’t do any work before noon. This week at work, our company had it’s annual recognition awards, and I sat with a friend who had been at the company for almost two decades, as I have. As many newcomers received awards, we sat there knowing that we would not. Jaded by years of being largely unrecognized, we pondered. Was it our personalities? Our inconsistent work habits? Our attitudes? No matter, we were familiar with feeling taken for granted. We should have moved on years ago, but familiarity and safety kept us here. And I feel like that in life. Due to known and unknown faults of my own, I’ve never gained more than temporary, if any recognition. No invites to join a team who were working towards a goal. Sure, I’ve contributed many hours and insights at work, and volunteered many hours in churches, but for some reason, I’ve never gained the one thing I think I need to succeed – a mentor who entrusted some sacred responsibility to me. Not just a promotion (which I’ve been passed over for many times), but someone entrusting me with authority. I think we all wish someone would come along and recognize our talents, affirm them, and lift us up to the next level of performance within the framework of meaningful community and work. Someone with skills and character we admire believing in us and actually spending time and sweat helping us fulfill our vocations. But it never happens. Where are the mentors? You have to go and get them, because they don’t come and find you. Writer and productivity geek Jeff Goins has written a very good article entitled How to Find a Mentor in 10 Not So Easy Steps, and boy does it hit home. Essentially though, I have to stop thinking like a child even at my age. I have to take the process seriously and commit the outcomes that I want. 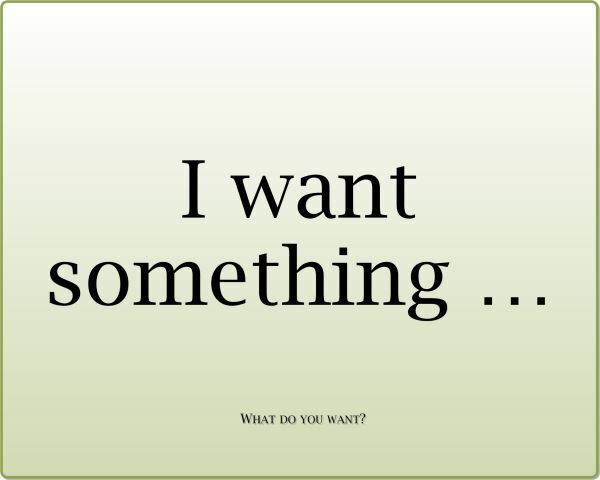 The ambitious and successful go-getters at this point will say, “you’ve already answered your own question. Anything more it’s just you being lazy and failing to take the one step but only you can take. The step of action.” But there is more to consider.